Vermont is “The Green Mountain State” for a reason—77 percent of the state is still covered in forest. A popular destination for visitors seeking the radiant colors of the fall foliage, the state also offers a variety of cultural, historical, and recreational opportunities to visitors and residents alike. The state also has a rich educational history, including the establishment of the first teacher preparation school in the country in Concord in 1823, and the beginnings of the national Head Start Program in East Fairfield in 1965. Today, Vermont offers a supportive educational environment, and the best student-teacher ratio in the country. With an average job-retention rate of 94 percent, teachers in Vermont demonstrate their satisfaction with, and support of, the quality of education in their state. What are some of the benefits of becoming a teacher in Vermont? How do I become a teacher in Vermont? According to a 2010 study by the National Education Association, Vermont had the third highest per-student expenditure in the nation ($16,308)—reflecting the state’s commitment to provide the highest quality education for its students. The National Center for Education Statistics also ranked Vermont the best state in the nation in terms of student-teacher ratio. With fewer than 10.6 students per teacher—significantly less than the national average of 15.4 students per teacher—Vermont teachers have opportunities to spend more personalized educational time with their students. What kind of salary can I earn in Vermont? 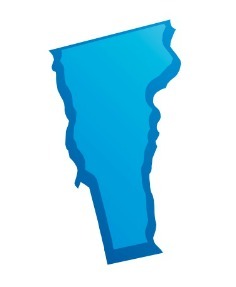 The Vermont Department of Education is also involved in a number of educational initiatives and programs, including the Vermont Comprehensive Assessment System (CAS). Through this program, the state is continuing to evaluate student academic performance; develop improved educational programs at the district and state levels; enhance professional development; and coordinate curriculum, instruction, and assessment efforts statewide. In addition, Vermont, along with 27 other states, has joined the SMARTER Balanced Assessment Consortium (SBAC). The consortium involves educators, researchers, and state and local policymakers, as well as community groups; its goal is to develop an assessment system for competencies in English, language arts/literacy, and mathematics, which is aligned to federal Common Core State Standards by the 2014-2015 school year. The state is also working toward better addressing the needs of its more educationally and behaviorally challenged students. The BEST Project, conducted by the Vermont State Department of Education and the Center on Disability and Community Inclusion (CDCI) at the University of Vermont, is helping Vermont schools develop more effective strategies and interventions to deal with challenging behaviors. Each year, the BEST Project offers in-service workshops, university coursework, and district grant opportunities, as well as crisis-intervention training for teachers. The Vermont Department of Labor estimates job growth for teachers in the state will be less than one percent through 2018. Despite this low job growth, the state also projects more than 240 job openings from teachers each year (between three and four percent of the total workforce), due to the need for replacement teachers. The highest number of projected annual openings (113 per year) is for elementary-school positions. Teachers with specialized skills and education are also needed in Vermont. The U.S. Department of Education identified the state’s greatest need for teachers through 2013 in the following areas: design and technology education, English as a Second Language, health education, and modern and classical Languages. Vermont offers teachers competitive salaries, and most districts provide comprehensive health-care plans as well as dental and other benefits. Teachers in Vermont can retire at the ages of 55, 60, or 62, depending on the number of years of service and which retirement plan they belong to. The Vermont State Teachers’ Retirement System (VSTRS) administers three types of retirement plans, dependent on the date teachers were first employed. Vermont has an active teacher union, The Vermont–National Education Association, which advocates for teacher benefits and offers member discounts for loans, insurance, and various products and services. In addition, the organization keeps members informed of legislative issues related to education, and offers professional development programs to its members. Where can I work in Vermont? Vermont has 327 schools spread mostly across small towns and mid-size communities throughout the state. The state’s most populated area, Burlington/South Burlington, has a total of 28 schools with approximately 6,000 students and 680 teachers. More typical school districts in the state have between two and seven schools, each with 100-1,400 students and 20-200 teachers. A complete listing of schools in Vermont, comparison data charts, and links to specific school websites can be found at the Vermont Department of Education website. To become a licensed teacher in the state of Vermont, a person must have a minimum of a bachelor’s degree and have graduated from a state-approved program of teacher education. Vermont offers two levels of teacher certification—the Level I Beginning Educator License for new teachers, and the Level II License for experienced educators with at least three years of experience, and who meet professional-development standards. Before being certified for licensure, all prospective teachers must pass the PRAXIS I basic skills test; a PRAXIS II exam must also be passed to receive certification in each individual content area the teacher wishes to instruct in. Vermont also offers a non-traditional route to licensure called License by Evaluation, or "Peer Review." This process requires teacher candidates to assemble and present a comprehensive portfolio of educational background and experience that would qualify them to become teacher without first completing a teacher preparation program. Peer-review candidates must still meet the traditional requirements of a bachelor’s degree, completion of student teaching, and passing scores on the necessary exams. For more information on teacher certification in Vermont, in addition to links and advice regarding documents, the process, and contact information, visit the Vermont teaching certification website.